TORONTO - Jan. 17, 2019 - PRLog -- AllSight, a leader in master data management and customer intelligence software, today announced it has been named a second generation MDM vendor by Forrester Research in its report, Now Tech: Master Data Management, Q1 2019. According to Forrester, second generation master data management is defined as supporting "systems of engagement and insight". A key tenant of second generation MDM is that it supports a 360-degree view of the customer. In addition, these systems utilize knowledge graphs and graph databases to enable multiple views of customers to support various users. As a second generation MDM system, AllSight Intelligent 360 has proven significant scalability, with clients realizing substantially faster data load and matching times, measured in hours versus weeks compared to first generation MDM. Marketing & business leaders at financial services organizations are driving sweeping digital transformation strategies, which include specific initiatives such as next best conversation, personalization, omni-channel customer experience, customer & relationship-centric risk decisioning, and compliance with customer-centric regulations such as GDPR and CCPA. The common denominator to all of these initiatives is a Customer 360. In order to achieve a complete 360 view, traditional master data management capabilities including identify resolution and stewardship, are coupled with the ability to mine unstructured data to detect and infer additional attributes, interactions and relationships. 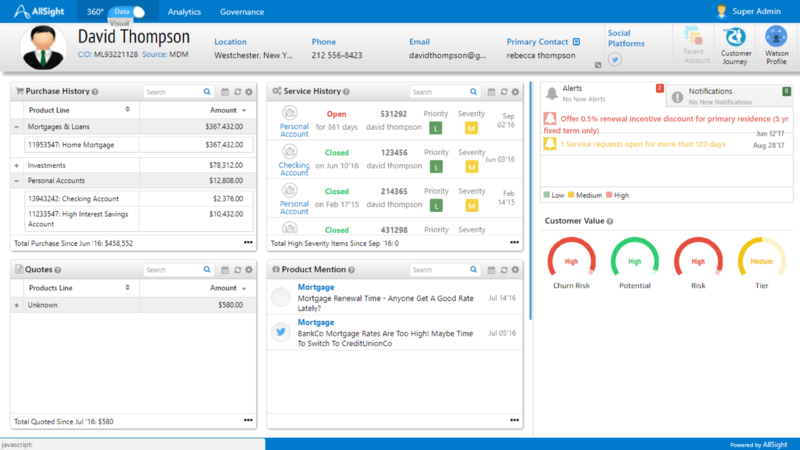 AllSight Intelligent 360 (www.allsight.com) is a SaaS offering that combines second generation master data management with Customer 360 capabilities. In its latest release, AllSight announces specific enhancements to speed and simplify implementation, reducing cost and increasing time to value. Enterprise software implementations can be complex, but AllSIght continues down a path to make the complex simple by building new features that speed implementations. "With every project, we learn. We have taken those learnings and significantly improved the implementation experience and results for our clients. The implementation process is highly configurable, flexible, and smooth," says Karen Chouinard, Vice President, Client Success at AllSight. AllSight is a solution-based software company headquartered in Toronto, Canada. 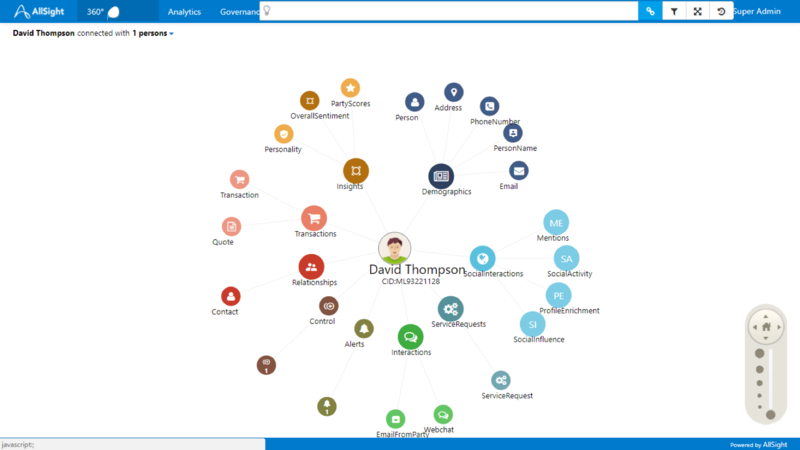 Using state-of-the-art technology including artificial intelligence, machine-learning, and graph data stores, AllSight identifies customer records, links related data such as interactions and transactions, enriches each customer record with derived intelligence, and presents unique views to different business audiences. Learn more at www.allsight.com.